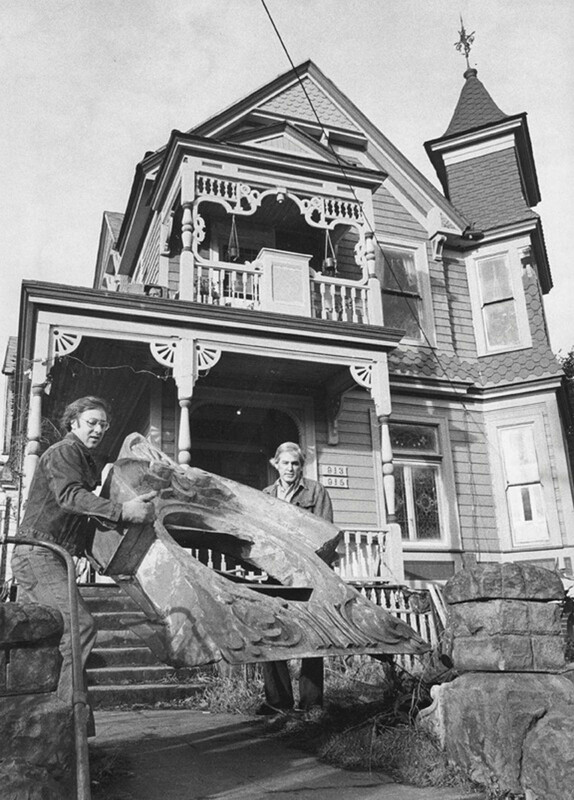 Jerry Bosco and Ben Milligan are shown here handling decorative sheet metal in front of the Thaddeus Fisher house on SE 33rd Avenue just south of Belmont. Built in 1888-1892, the house is one of the finest examples of Queen Anne style in the area. Bosco and Milligan, founders of Portland’s Bosco-Milligan Foundation/Architectural Heritage Center, used to own this house and worked to restore it. Thanks to VP fan Tiffany Conklin for forwarding this photo.